The city of Townsville with some 20% of its suburban zones under water might now be a model for the world, for possible climate change impacts and handling them. It has the rare distinction and good fortune in the world Tropics of not hosting a large fringe population in dangerous shanty-towns and being able to afford adequate engineering works. Australia’s largest centre above the Tropic of Capricorn, with close to 180000 population, it faces the hazards of tropical cyclones and king tides, and drenching Summer rain events — like the inundations of the last week. Its river, the Ross, is a short coastal non-perennial stream that gets engorged by phenomenal dumps of water in the “wet”, as in January 1998, the previous record-breaking year. These days the very heavy falls have been happening more frequently, for example in 2007, 2009 and then in 2010. With booming population the medium to large Ross River Dam was constructed in 1971 for flood mitigation, and town water for the long dry months of the Northern “Winter”. Its capacity is just under 235 000 megalitres (for comparisons in Australia: Burdekin Dam 1.86-million ML, Burrinjuck 1.03-million ML, Warragamba 2-million ML). Engineering studies to keep watch on weather trends, urban growth, and where the flood water might go, enabled authorities this time, not to stop a big flood, but to accurately tell where it would go, and when, and get people and property to safety. It is not over in Townsville, with a further week of wet weather and now a major clean-up in progress, but the record is already a test of imagination: 1.134-thousand millimetres (44.5 + inches in the olden-days) over nine days until Monday– much more in certain pockets. The city and surrounds have 82 000 households, more than 1000 houses are known to have been flooded and the tally will grow as reports keep filtering in. Two young men have lost their lives, found dead in a storm water drain. Earlier heavy falls in January flooded underpopulated regions of Cape York, and the rain, moving on very slowly, later hit places further south from Townsville, while bringing massive relief to drought-stricken parts of the North-west and Central Queensland interior. Meteorologists are saying it was a Monsoonal wet that was not not being driven away by other influences, but instead converged with South-east winds associated with a barometric trough – causing even more rain. 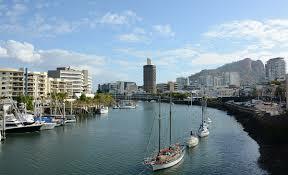 Impacts of climate change have been factored into the planning for such threats. 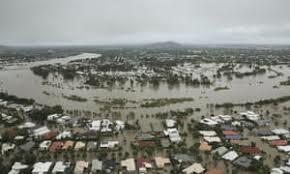 To account for worse conditions by 2100 the flood models used by Townsville City Council, and State and Federal governments, were adjusted for higher sea levels and higher rainfall intensities, showing increased risks for suburbs that copped it already in 2019: Railway Estate, South Townsville, Oonoonba and Fairfield Waters. Modelling results, supported by theory, indicate that the frequency distribution of daily rainfall may change significantly due to the enhanced greenhouse effect. In particular, for the Australian region, the CSIRO9 model shows a marked increase in the frequency of heavy rain days…The most important manifestation of these changes, if they were to occur, would be an increase in the frequency of extreme rainfall events and associated flooding… (Subtropic emphasis). Our climate is changing primarily because increasing amounts of greenhouse gases in the atmosphere are trapping heat, warming the air and oceans … Scientists use global climate models (employing) a set of mathematical formulae that describe the physical processes of the atmosphere, ocean, land and ice. Population, the economy, policy decisions and technology will all affect future emissions of greenhouse gases. There is likely to be a substantial increase in the temperature reached on the hottest days, and an increase in the frequency of hot days and the duration of warm spells. Change to fire frequency depends on the spatial variability of future rainfall. 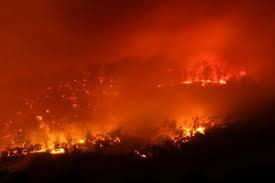 However, when and where fire does occur, its behaviour is likely to be more extreme. The bushfires came true, certainly also in the Southern half of Australia, were the emergency services have registered that fire seasons are getting longer, there are more fires, over bigger areas, flaring up more frequently. 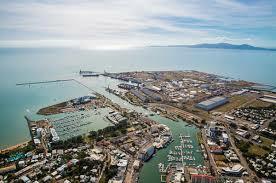 In the last week Tasmania bore the main brunt. By mid-week fires concentrated in the Huon Valley claimed seven houses while firefighters held out for some forecast rainfall, putting 33 areas on “watch” or “watch and act” alerts across the island. The bushfires had come true already at the end of November last year in Southern Queensland, a Summer rainfall region where until now fires moving so rapidly on a massive scale were not known – belonging more to Southern states where they have dry Summers. As in Townsville now, the civil defence effort saw a coordinated mobilisation of State and local resources headed by the Labor State Premier Annastacia Palaszczuk. Also as in Townsville, communication efforts were a main part of the operation, both through official services online and the public broadcaster ABC as official emergency network. One life was lost and some property in an operation that otherwise succeeded well. That did not prevent some visceral politicking. 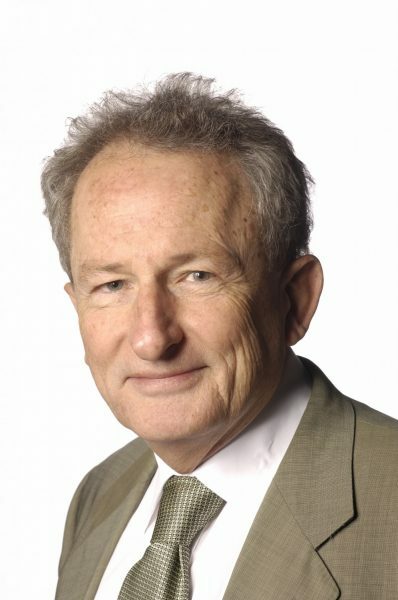 The Liberal National Party Opposition in Brisbane, and friends in Canberra, got up a proposed federal inquiry into claims of lax handling of the crisis. The notion of policing this State government operation from the South will be denounced as an intrusion and impertinence if pushed further into any serious political debate. 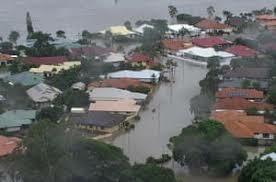 Will we see the same kind of efforts to make politics out of the Townsville floods operation? Opening the floodgates of the Ross River Dam would be a tempting target – worth a try-on for Opposition politicians if lacking in scruples. The gates were moved bit-by-bit until, when the build-up behind the barrage reached over 240% of its design capacity, they opened fully on automatic. It sent an increased and anticipated rush of water into down-stream holding ponds and some of the suburbs. With the collaboration of right-wing news media, some distortion of what happened, and exploitation of a few flood victims, it might be possible to imply callous neglect – though so far there’s no try-on in sight. The dam, a rocks-and-earth embankment, was already the subject of some longer-term whispering before last week, because early in the Century it budged — by 2003 moving ten centimetres a year and threatening to collapse within a decade. It was mended with some lowering and setting up of the present concrete and steel spillway in 2007. Some tried it on, that the dam movement was due to water pressure in the 1998 flood crisis, insinuating possible design and maintenance faults, culpability and scandal. Problem was, the flood rains that time were outside of and concentrated below the catchment of the dam. While the politics may be played locally the context is global, with climate change affecting all of the Earth and knowing no boundaries. 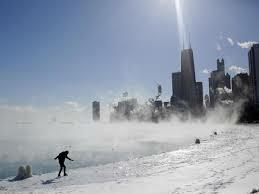 In North America, residents of Chicago last week endured the city’s coldest cold-snap since the start of record-keeping in 1870, with daily minimums under minus-14 degrees and wind sheer effects down towards minus-50. 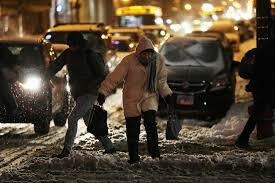 Four people died in the crisis, brought on by a “Polar Vortex” event. What connection with climate change? The vortex is a zone of cold air and low pressure over the Poles. The Northern Vortex shifted over North America because of higher than normal temperatures in the upper atmosphere – some warming going on. It came after one of America’s worst-ever series of wild fires — the November “Camp Fire” event in California being the most deadly for over a Century recording 85 deaths. 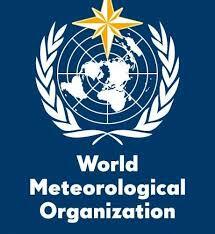 The Geneva-based World Meteorological Organisation has reviewed 2018 as among the most turbulent for erratic and extreme weather, given detailed treatment in major media including the Paris Le Monde. Signs of enduring climate change becoming more numerous and more clear: rising sea levels, temperature and acidification of oceans; melting of ice floes and glaciers; build-up of greenhouse gases threatening to raise temperatures to catastrophic levels, 3-5 degrees by the end of the Century. 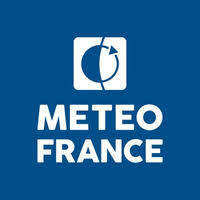 For France itself and other European states, a report from the weather agency Meteo France shows the country had its hottest year since at least 1899; the mean temperature for the year at 13.9 degrees was 1.4 degrees above the figure for the reference period 1981-2000. A sequence of nine consecutive months of temperatures above normal was unprecedented in the record books. Germany, Austria and Switzerland also beat the records, with the weather agency proposing it would likely be the same picture throughout the European continent. The exhortation, think global and act local has new meaning, where the disturbances of world climate and their human perturbations are making themselves felt everywhere, and costing more to deal with on the ground: more fire fighting, more flood control, rescues, medical alerts, rebuilding – more trouble on the block.